Posted on 17, June 2015 by EuropaWire PR Editors | This entry was posted in Internet & Online, News, Technology, Telecom and tagged 3G, BSS, CAT Telecom, Col. Sanpachai Huvanandan, Elitecore Technologies, FTTX, IMS based charging, LK Pathak, LTE, Mobile Virtual Network Enabler, MVNE, MVNO, Nikhil Jain, OTT, Revenue and customer experience management solution, Subin Bhatia, Suvitech, Telecom operators next generation data services, THAILAND, Wi-Fi. Bookmark the permalink. MUMBAI, India & BANGKOK, Thailand, 17-6-2015 — /EuropaWire/ — Elitecore Technologies, a leading global provider of Next-generation BSS and Packet Core solution announces that, Thailand based CAT Telecom, a leading Tier 1 Telecom Operator and Suvitech a Thailand based IT Solutions and Service Company, have selected Elitecore’s end-to-end pre-integrated BSS stack to enable their Mobile Virtual Network Enabler (MVNE) strategy in Thailand. 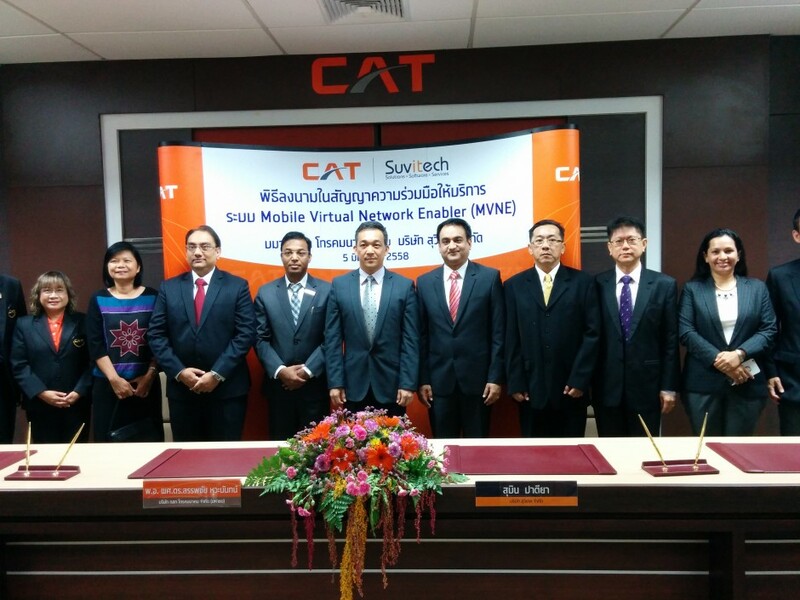 Under this Public-Private Partnership; Suvitech has been appointed as the single MVNE for CAT Telecom. A mobile virtual network enabler or (MVNE) is an organisation that provides network infrastructure and services, such as Network Sub systems, Business Support Systems and Operations Support Systems to mobile virtual network operators (MVNOs). Elitecore’s BSS platform will support in building MVNE infrastructure to enable multi-brand strategy, including the launch of new partner brands and multiple mobile virtual network operators (MVNOs) on the same stack. The platform offers an integrated real time billing, policy control and customer management which allows MVNOs to create product catalogue and enable basic services like Voice and Data bundled with next generation digital services like sponsored data, OTT partnerships supporting whole range of devices including the IoT enabled applications used by its subscribers. Col. Sanpachai Huvanandan, CAT’s acting president, said the MVNE platform would assist with IT back-up operations, enhance competitiveness and cut costs. Powering CAT Telecom’s MVNE strategy, Elitecore’s future ready platform would support next generation services like IMS based charging, Wi-Fi, OTT, FTTX etc. thereby eliminating the need to deploy multiple solutions for future expansion. Elitecore has earned the trust of leading operators in many countries around the world. Elitecore has recently Won Telecom Asia Readers’ Choice Award for BSS Innovation of the Year 2014 & has been recognized as one of the fastest growing IRCM Company and Niche Player in Gartner Magic Quadrant for CSPs in 2014.